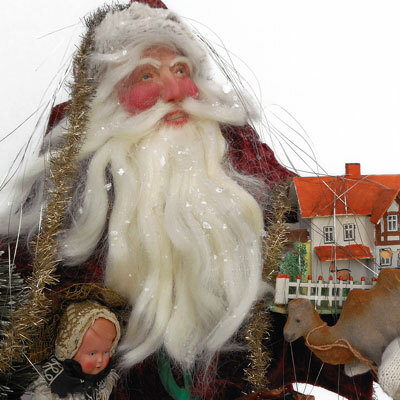 One-of-a-kind Father Christmas figure is dressed in vintage robes and carries all antique toys including an early German Putz house and camel, celluloid doll, brush tree, early reflector and tinsel rope garland. His face is individually sculpted including his teeth. He stands 29" tall and has an antique look.